Posters are important when it comes to promoting movies. While they might just be disposable sheets of multicolored artworks that are posted almost everywhere, these small but meaningful works of art that show at least a fairly small glimpse at what a specific film has to offer, has a large influence on the audience. 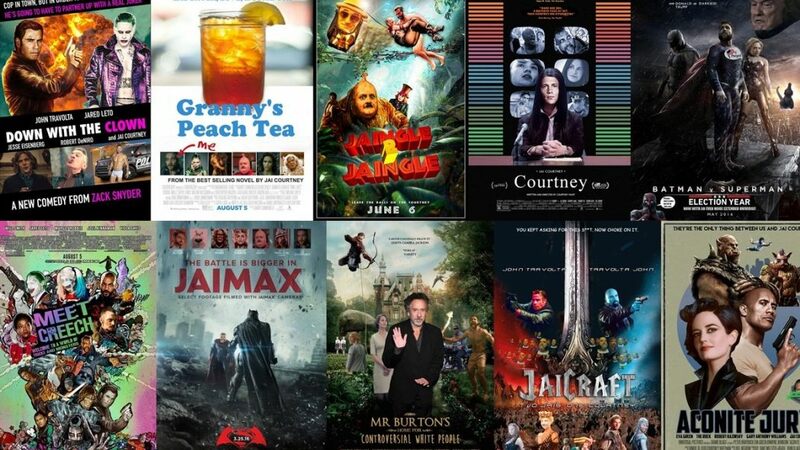 Whether or not a person would want to see a film mostly relies not only on the trailers, but also on these posters. First impressions matter after all. 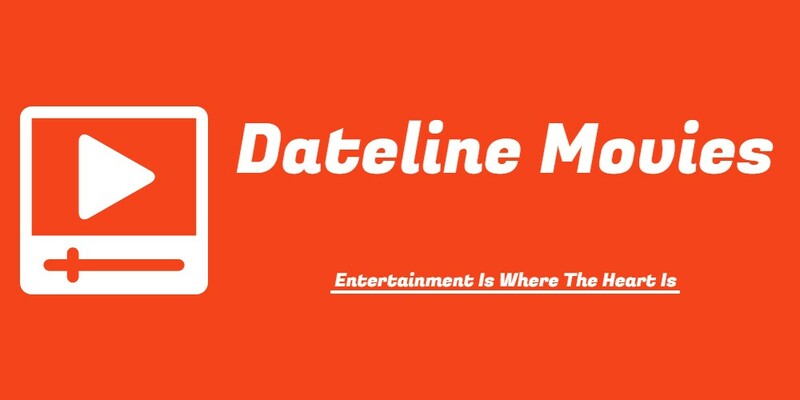 Welcome back to Dateline Movies, and join us as we countdown our Top Seven Worst Movie Posters Of All Time! In other words, we will be seeing the saddest excuses for digital art in the history of films. We highly recommend you bring a bottle of eye-drops for the designing abominations you are about to see. And after our countdown, we'll show you where you can design and create beautiful, unique, one-of-a-kind and fully customizable logos for FREE in minutes! 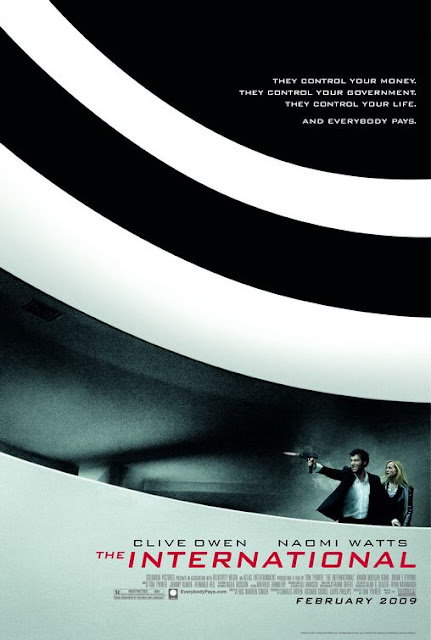 Everybody paid the evil banking company that Clive Owen (Sin City) and Naomi Watts (King Kong Remake) battled in The International, but we might doubt that the marketing team did not pay enough to make a decent poster. Honestly, it is far from being the exact worst of the worst, and I clearly see what they are trying to aim for here. The top-right corner of the poster looks alright, complete with the James Bond-inspired aesthetic, but how it intertwines with the circular structure at the bottom feels unbalanced and unpolished. The bottom, which features some interior shots of a building looks grainy, and is it me, or does Naomi Watts looks like she is not at all scared by whatever Clive Owen is shooting at at the poster? Again, clearly not the worst, and hey, at least there is much more effort here, in contrast to the ones that follow. Yes, this is a remake. Ironically, the poster says that "it's all in the execution." Clearly, the execution to the designing process of this promotional material is anything but flawless. Aside from glaring poster cliches, such as the flame below, and the typical black-and-white overall color palette, plus the bullet holes, which clearly look out of place, do you notice anything else that is wrong with this poster? No? 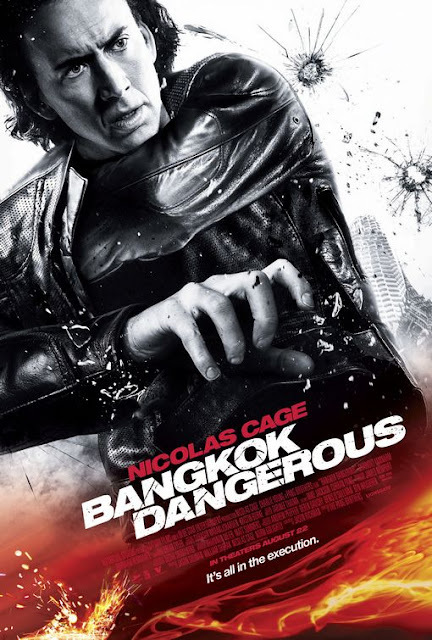 Take a look at Nicolas Cage's hand here. Why does it look like that he is holding an invisible gun, while also reaching for another weapon? Also, for someone in the middle of an action scene, Nicolas Cage (Gone in 60 Seconds Remake) looks unmoved. And take a look at the towers at the most-left. Is it me, or do they not look warped? This poster alone makes most of Photoshop mess-ups look like masterpieces, and that really is saying something. 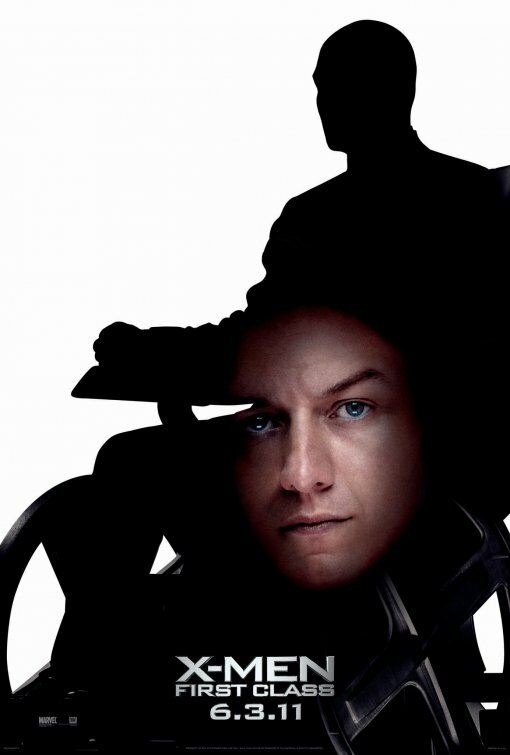 Thank God this was only an alternate poster. But what really is wrong with this poster? Well, let me count the ways. First, it is seriously misleading. 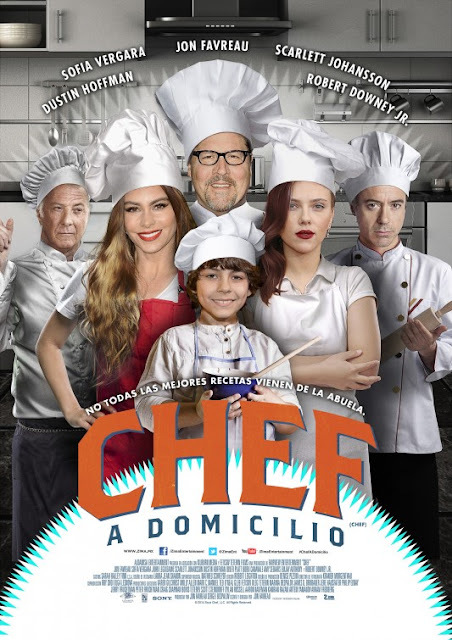 As much as the poster is telling you that Dustin Hoffman (Marathon Man), Robert Downey Jr. (Soapdish), Sofia Vergara (Modern Family) and Scarlett Johansson (Ghost in the Shell) actually wearing chef's attire in the movie, none of them would actually get close to cooking anything. In fact, none of the aforementioned actors and actresses even played chefs in the movie. Second, how can you tell if this poster was made badly? Just look at all of the clearly copied-and-pasted sprites of the entire cast. Dustin Hoffman looks too unimpressed, all the while pointing at something, while Robert Downey Jr. looks way too serious to cook. Scarlett Johansson's face looks like an image that the paparazzi would take, and everything is just bland. Seriously, that has got to be one of the dullest backgrounds I have ever seen. Wow. Whoever thought this was a fantastic poster should never find work in Hollywood again, even beyond the end of time. I can see that, in some bizarre way, they are paying homage to the notable image of John Lennon doing the exact same thing with Yoko Ono, but here I am asking myself, why? 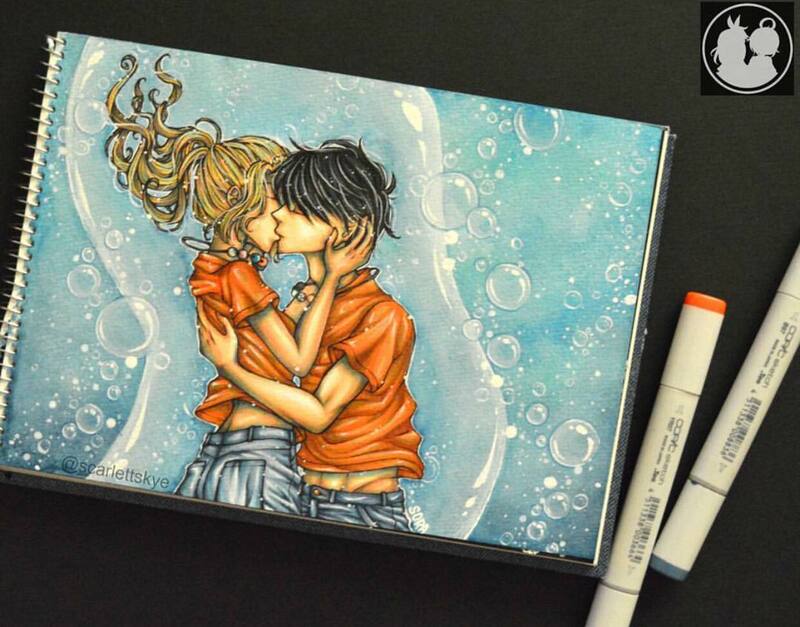 If this is supposed to be a movie about hopeless romanticism with a mix of magic, then why on God's good green Earth would you choose to parody an artistic image, that is in no-way connected to your story? Besides, should the poster not be ... how do I say this ... cringe-inducing? The poster has almost nothing to talk about Good Luck Chuck, save for the fact that it stars Jessica Alba (Fantastic Four), who looks too sleepy to be cuddled in an odd way by her co-star, and Dane Cook (Planes), whose character poses more like a dog than an actual human being here. 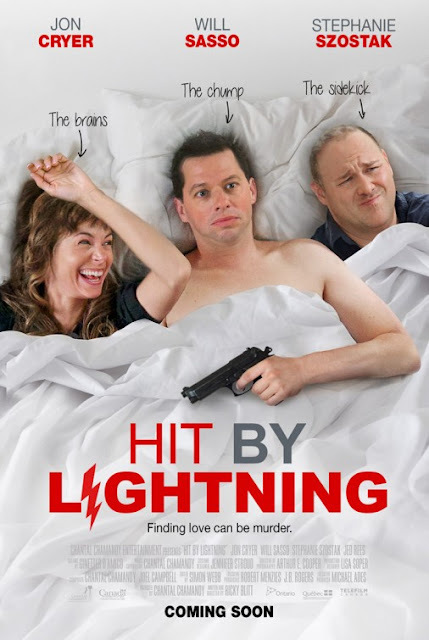 If the poster is expecting me to think that this is a comedy movie, and not a horror story, then I would say to the artist, "Have you had your eyes checked?" And I thought the poster for Good Luck Chuck was horrible. Quickly, guess which among these three choices describes the plot of the movie. Is it A.) These three main leads have switched bodies, or B.) It is a heist movie, featuring the brains, the chump, and the sidekick. The answer? None. 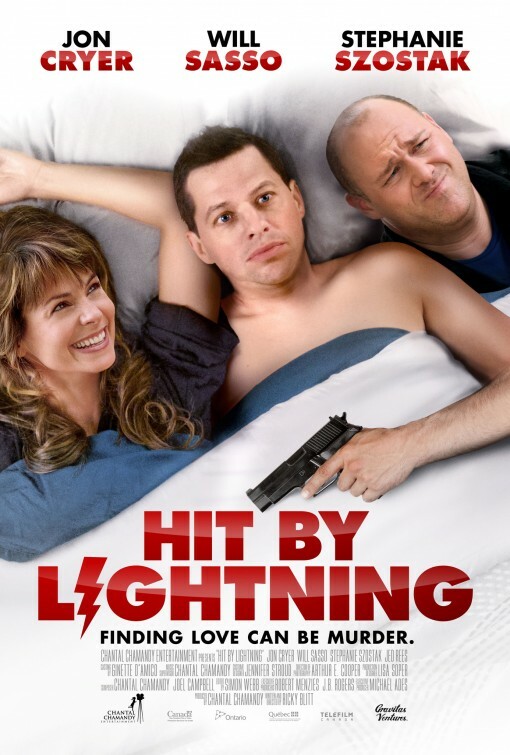 Actually, this movie is about Jon Cryer (Two And A Half Men) trying to kill the husband of his newfound love, Stephanie Szostak (Iron Man 3), so they can be together. What I am trying to say is that the poster is super misleading and confusing. 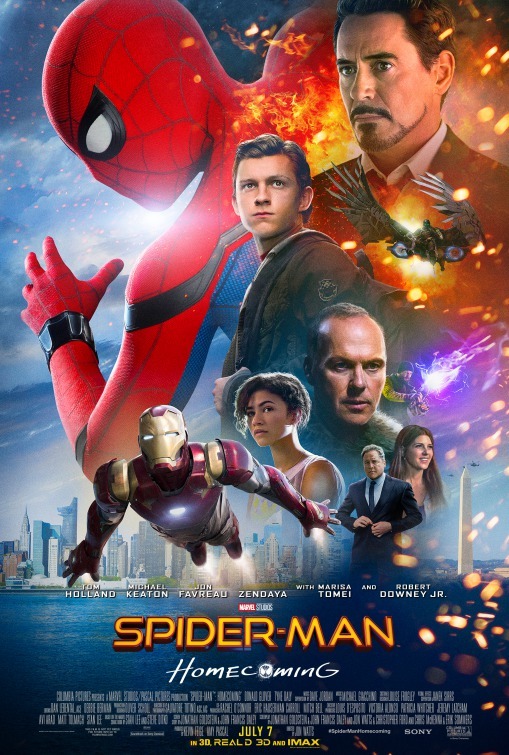 But what makes this poster much more abysmal is that it looks like the actors' images were just randomly grabbed from the Internet, and are cropped together to make this dumpster fire. Stephanie Szostak looks way too erratic to be in bed, while Will Sasso (The Three Stooges) looks like he is pondering on the value of his paycheck. Also, why are Szostak's and Sasso's characters wearing clothes, while Cryer's is shirtless? Finding love can be murder all right, and so is looking at this poster. For a family friendly movie, this poster is scary as the darkest and deepest depths of the underworld. In a way, it clearly does not have the awful designing flaws that any of the previous posters have, but this is just outright terrifying. It is like Tim Allen (Toy Story) somehow reincarnated into an actual dog, and is now out to steal my soul for a very malevolent ritual. Is it me or does that sound a lot like that horrible animated show, Mister Pickles, which is about a devilish dog who indulges in the deaths of countless innocents. For all I know, The Shaggy Dog might actually be the feature-length, friendlier version of Mister Pickles. But overall, this reaches our number two pick simply because it is scary to look at. It is also cursed to eternal suffering because of that horrible pun, and now I know how my friends feel about my corny puns. Hercules in New York (1970) - According to some sources, this specific movie is alternatively titled Hercules Goes Bananas, and surely, whoever made this poster was more or less bananas. Not only did the color brown made the poster uglier than it should be, with the blue headings, plus the white outlines, it looks like Arnold Schwarzenegger (Predator) has one pretty messed-up set of abs. 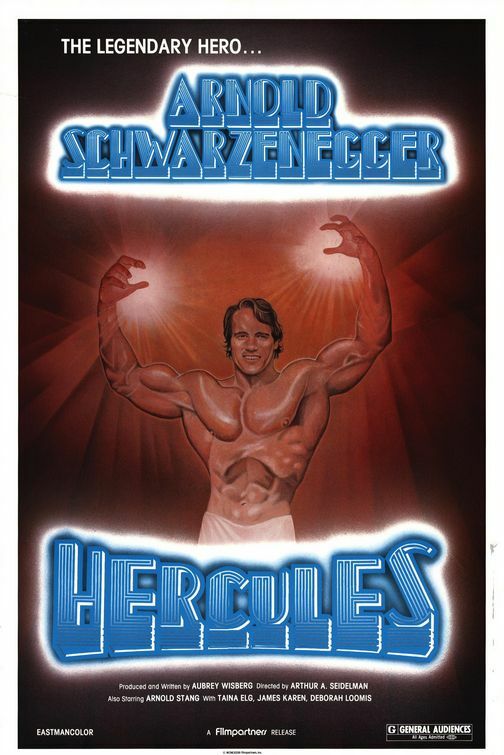 With an awful poster to accompany its equally awful movie, it really was fortunate that Arnold Schwarzenegger's debut role did not prevent him from getting better roles in films like The Terminator. Escape to Victory (1981) - At first, this poster for the film looks decent-ish. But when you look closer, you begin to realize that Sylvester Stallone's (Rocky), Michael Caine's (The Italian Job), and Pelé's bodies might be a product of unholy experimentation. I know that they are trying to form the letter "V", after the first letter of "victory", but it might just be better to keep them separate. Also, I know poster. 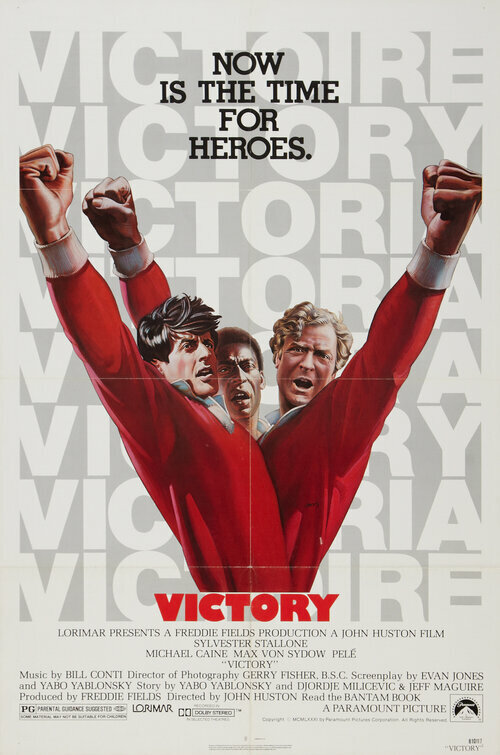 The movie's title is simplified to "Victory". No need to remind so many times by having the word repeat itself eight times in the background. Star Trek IV: The Voyage Home (1986) - Is this movie about the crew of the Enterprise, or a psychedelic comedy-drama set in the 1970s? While the poster does tell the audience about the premise of Star Trek IV: The Voyage Home, it feels as if it has no connection to the one universe. On the bright side, it really is not ugly to look at, nor is it completely messy, but the overall design, and the tone it tries to convey, does not feel appropriate for the movie. As much as I love them in some designs, the rainbow in this poster definitely should go. It makes the poster a tad bit "Disney-fied". Spider-Man: Homecoming (2017) - Two words. 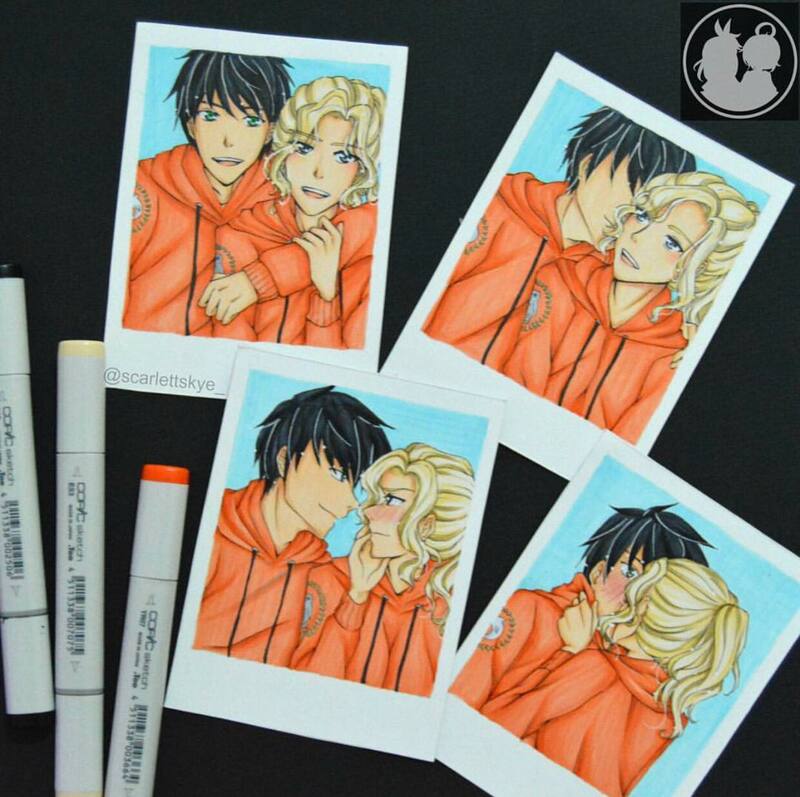 Too ... much. There is a reason why we mentioned in our review of this flick that the poster is considered by many as one of the absolute worst for this year. Just look at it. There is way too much that the poster is trying to tell me. We already have the villains, the Vulture, played by Michael Keaton (Beetlejuice), and the first Shocker, played by Logan Marshall-Green (The Invitation). We have the supporting characters, including again Robert Downey Jr. and Jon Favreau, who seem to have a penchant for movies with terrible posters. We even have Aunt May, played by Marisa Tomei (Crazy, Stupid, Love), and oh, Michelle, played by Zendaya (Black-ish), who barely does anything in the movie. Plus, Spider-Man, played by Tom Holland (Locke). And the worst offender? There are two Spider-Men, two Vultures, and two Iron Men. And can we please stop with that flare? It is never gonna help anybody. With that, I hope you are ready for the absolute worst poster that you can lay your eyes on! Just look at this. Who even made this poster? It looks like a First Grader was asked to toy around for an hour, and decided to leave, thinking this was cool. This is not how you promote a prequel movie. It has a pretty interesting concept, which is to foreshadow the eventual direction that the character will soon take. It would have been fine with the old "shadow of the future behind the character of the past" (It is hard to explain it in words, but search for the cover of Punisher MAX Number 1, which was released on Janury of 2010, and you will get the idea), but this ... this is just incredibly lazy. 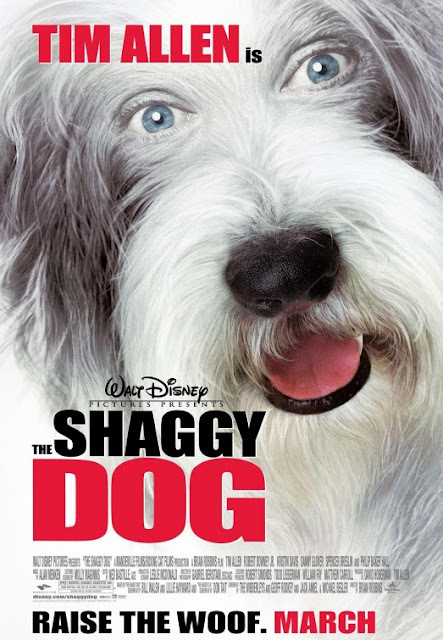 I cannot believe a major studio approved this as an alternate poster. Heck, they even made another one, but this time with Magneto, played by Michael Fassbender (Alien: Covenant). Because of this ugly, and very effortless outing, this is no doubt the absolute worst poster of all of history! 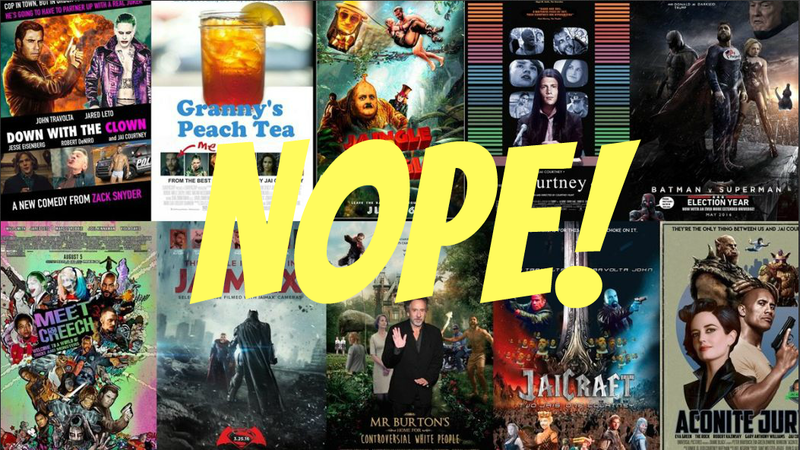 This post surely has taken me to really weird places, and helped me discover movies that I have never even heard of. Oh well, at least these posters reminded me that no matter how badly I use Photoshop, there will always be so-called "professionals" to mess-up more than me. And since we are talking about posters, we might as well bring up the topic of designing "logos", specifically those of films. When movie titles are written in a font that is less than appealing to the human eyes, or just unreadable for the matter, I am afraid that your film will be viewed by one to none at all. Besides, independent filmmakers might not even have the access to flawless designing. You know what they say, "if you want something done right, do it yourself." DesignEvo offers a simple and convenient way to make logos. Top-notch and simple logos are just a click away. Simply choose from a wide variety of symbols and font styles ... and tada ... a decent logo that does not look half-baked nor over-stylized!  We even made a draft version of our new logo, which is pretty much a small update on our original version. 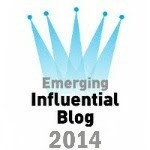 Hey, it has already been three or more years, so we thought that maybe it is time for some change. Check it out below, and share your thoughts! 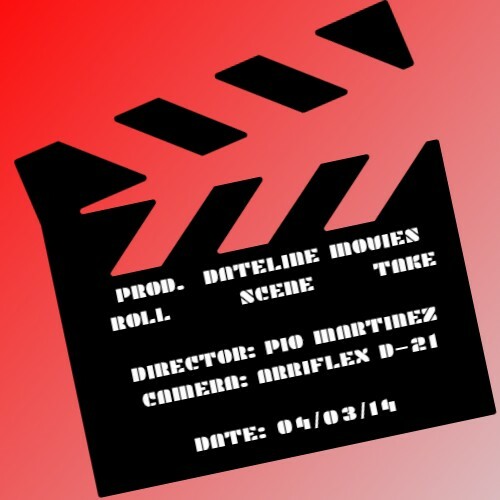 Plus, my sister made an alternate version, which is radically a changed version that features a clapperboard as the site's insignia. You might be asking why DesignEvo? For one, it has millions of professionally-designed vector icons and shapes that you can use. Just drag and drop the icon of your choosing. Two, it has hundreds of stylish fonts and word arts that you can customize according to the color, size, alignment and spacing to meet your specific needs in just a few clicks. Three, all your designs are customizable to get the unique look that you are looking for. From the background, the layout and the layers, everything is adjustable. And most of all, everything that you use on DesignEvo is absolutely free. So what are you waiting for? Make logos for anything, from movie titles, to school projects, right now. Remember, it is free, it is very convenient, and most of all it is easy to use. The website is easy to navigate and very user friendly. DesignEvo is one of the best free online logo maker that anyone can use to create a unique logo in minutes. And with that, we conclude our latest countdown. Have a good All Saints and Souls Day to you all, and stay tuned for more Dateline Movies!